How to get set up remarketing (+ the Gallery and Youtube). Most will agree, Remarketing is the bomb. 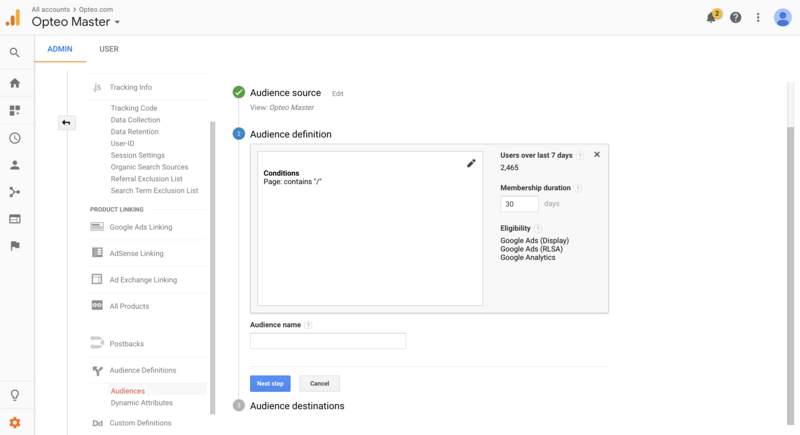 But few know just how powerful remarketing can be and what you can do with Google Analytics. Let me show you how to get set up, and then I'll show you some of the cool stuff you can do. To avoid frustration, make your email address has Administrative (or Account Manager) access to both AdWords and Google Analytics. 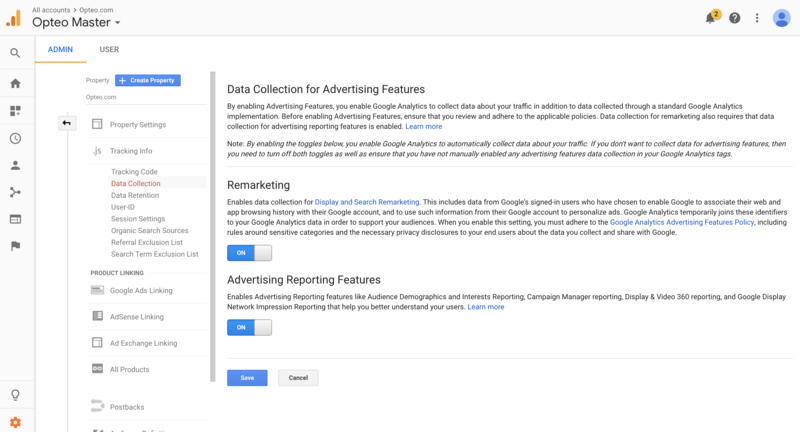 In Analytics, under the Admin tab, navigate to Google Ads Linking in the Property column. 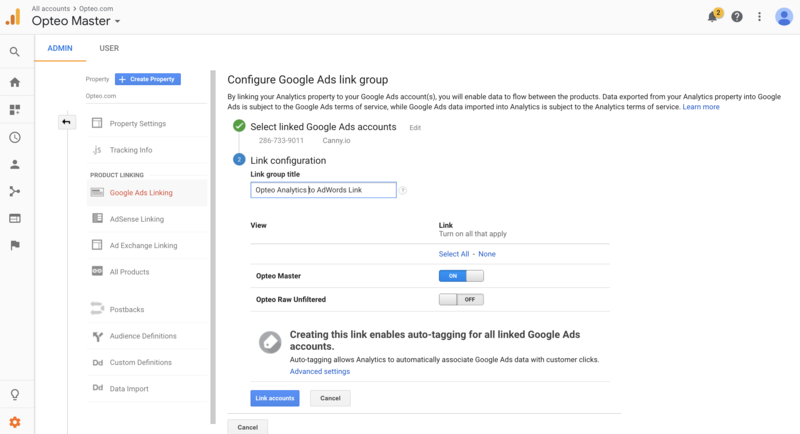 Create a new link group, select the AdWords account to link, give it a title and be sure to switch on at least one View. 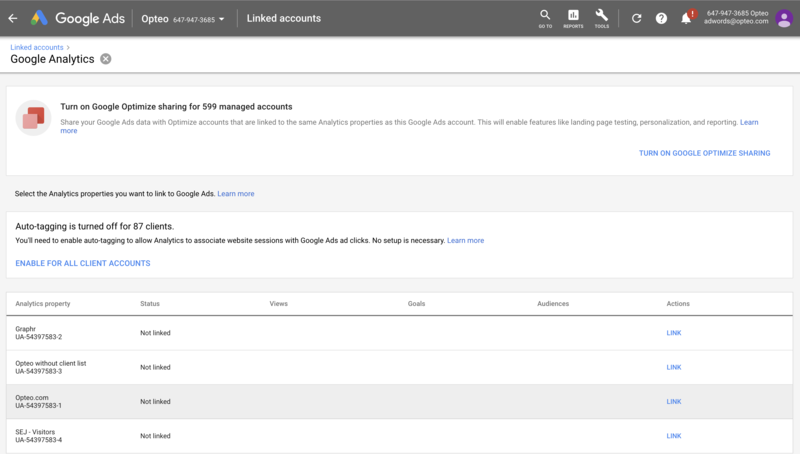 In AdWords, click the Tools icon and head to Linked Accounts > Google Analytics. Link the Analytics property you just created. If you get stuck and can't link the property, double check that you have Admin access for both AdWords and Google Analytics, and that the link group has been created successfully in Analytics. In Analytics, under the Admin tab, look for the Property column. Hit Tracking Info,then Data Collection. 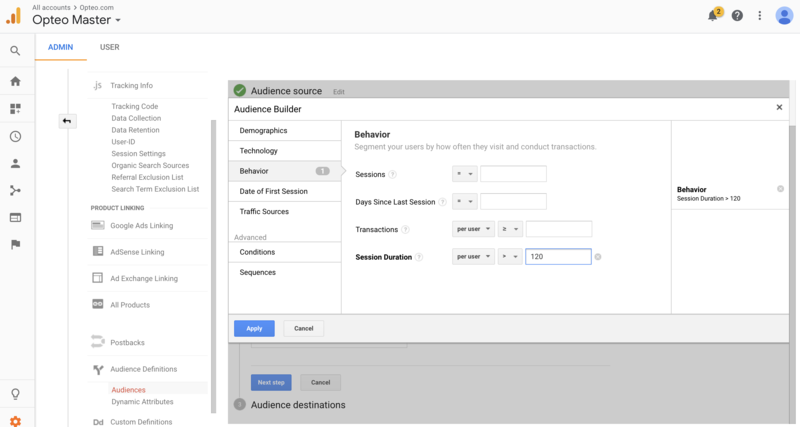 Slide both Remarketing and Advertising Reporting Features to On. In Analytics, under Admin > Property > Audience Definitions > Audiences you can now create a new audience. Hit + New Audience and then the pen icon in the top right of the Conditions box. From here your options are limitless. 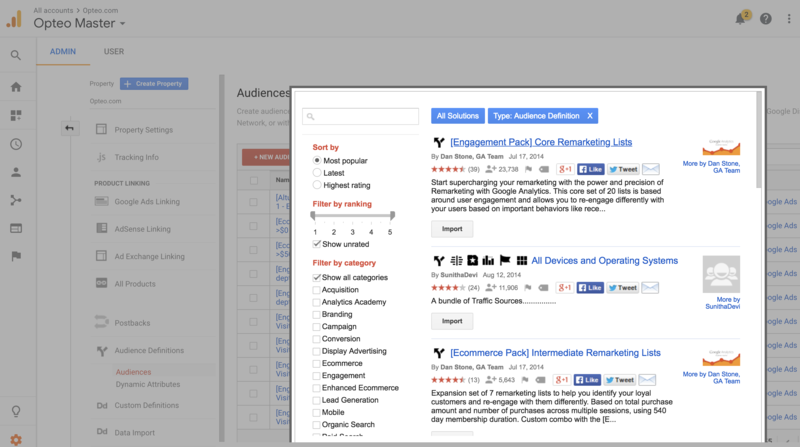 Let me give you some examples of my favourite audiences to target. Now you've created your audiences, you can do a quick check inside AdWords to see if they show up. They're under Tools > Shared Library > Audience Manager. You should see audiences that are "Tag-based" from Google Analytics. Take it one step further by making custom combinations of the lists you just created. Hit the blue + button to create a Custom Combination. A classic is: "anyone who has viewed /shopping-cart-url" and none of "anyone who has transactions > 0" to create an audience of shopping cart abandoners. Or "all users" and none of "anyone who has seen landing page" to remarket to organic visitors or Facebook traffic that hasn't been shown your landing page. 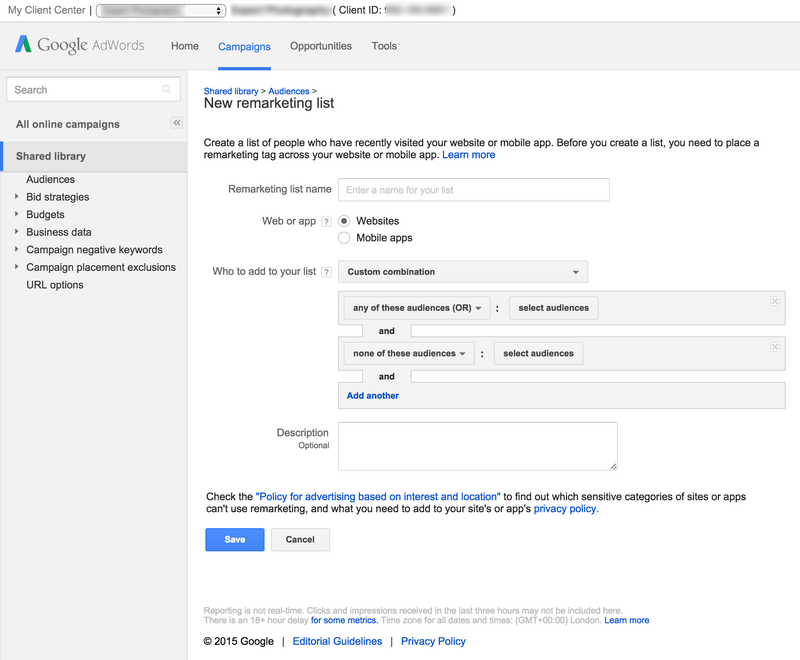 There's another option in Step 6 (Building Remarketing Lists). Instead of clicking + New Audience, click Import from Gallery to see packs of ready-made remarketing lists you can import. A great way to find new ideas or help with a brainstorm! Lots of great dashboards, reports, and custom segments in there too! If you have a Youtube channel, there are lots of amazing things you can do. 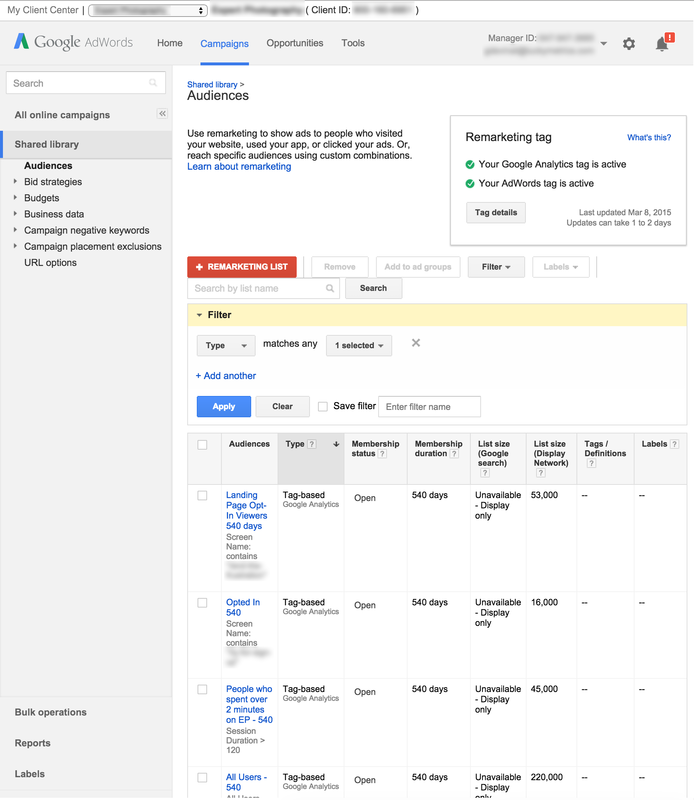 The first step is to link Youtube and AdWords together. For that, inside of YouTube, navigate to Advanced Settings (if you get lost, you can always navigate here: https://www.youtube.com/advanced_settings). 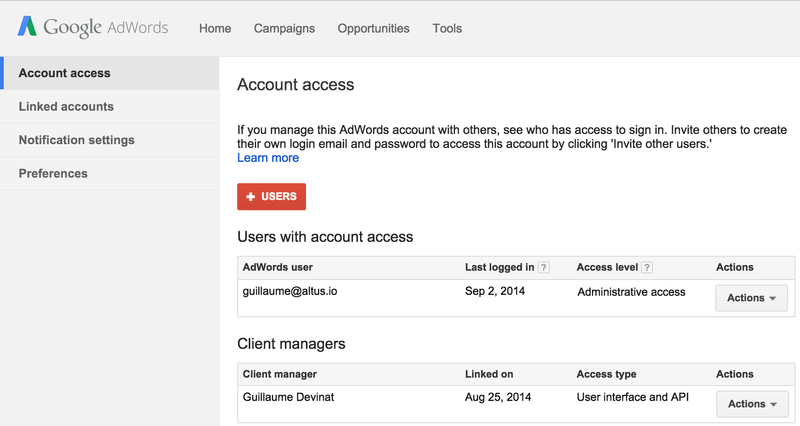 Click Link an AdWords Account and type in the 10-digit AdWords account ID. Head back to AdWords and link the channel by clicking under Tools > Linked Accounts > YouTube. 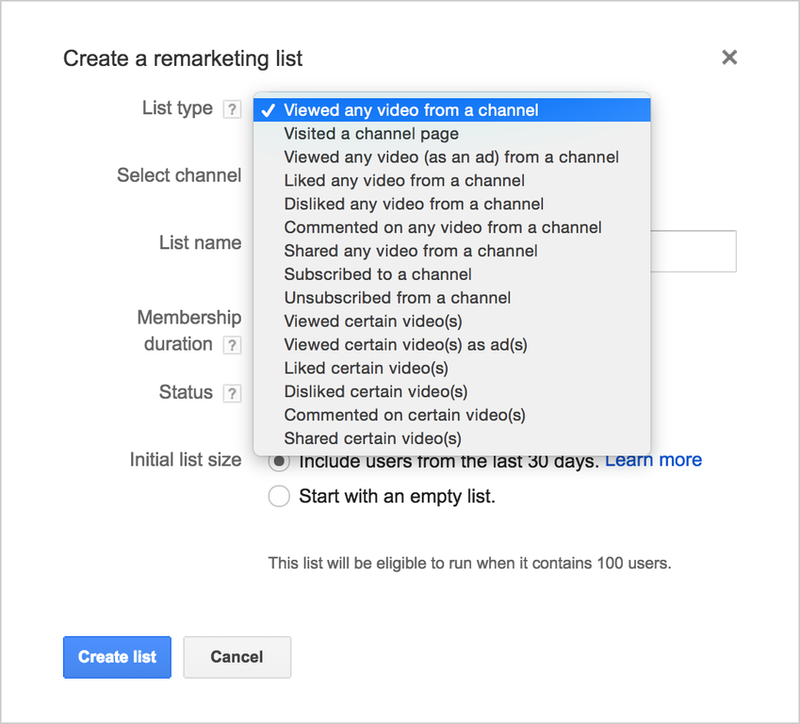 Now you can create lists from YouTube viewers (which can be a really cheap way to create a large targeted audience to remarket to!) and retarget them on the display network. It's one of my secret weapons. Remarketing is severly underutilized and so incredibly powerful. Take some of these strategies and go crush your competition.